Meghan Hanebutt is a Delaware-born wanderer, adventure-seeker, and soulful yoga practitioner and teacher. She grew up with saltwater and sunshine in her soul on the beaches of Delaware before expanding her world to Southern California, Central America, Southeast Asia, and beyond. Meg began teaching yoga in 2014 in Guatemala and completed her 200-hour certification in 2015 in Canguu, Bali. In 2015 she returned to Fenwick Island, DE where she taught beachside and standup paddle yoga for three years. 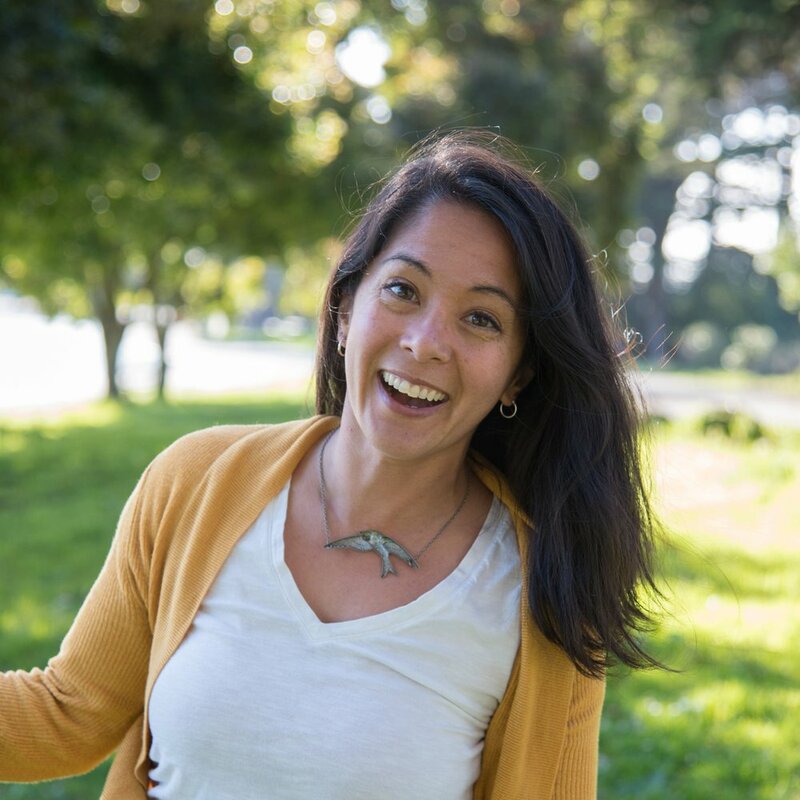 She moved to the Bay Area in 2017 and is currently enrolled in Purusha Yoga's 300-hour certification program. With a comprehensive emphasis on meditation, pranayama, and physical asana, you can expect to experience a safe, compassionate, and meaningful practice based on the foundational principles of yoga, drawn from Ashtanga, Hatha, and Vinyasa styles. Meghan teaches group yoga classes for adults & kids, yoga classes in local elementary schools, and offers one-on-one yoga coaching sessions specifically geared toward educators and parents. She is Purusha Yoga's web developer and kid's program director. When she's not on her mat, you can find her in a local coffee shop, out riding waves at Ocean Beach, or playing with her dog Wilson in Golden Gate Park.